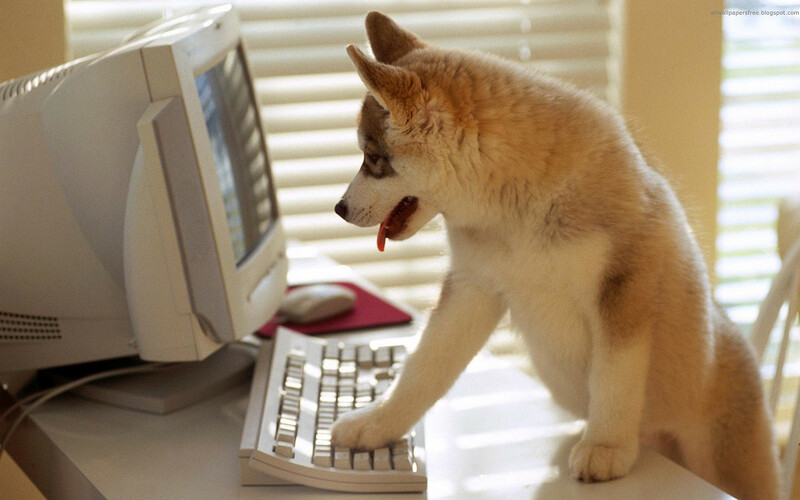 Funny, cute and smart puppy - programmer, always ready to help anyone who does not know anything about computers, he can not just sit and play in social networks, but also to send mail. Beautiful dogs and puppies of large and small breeds posing in photos of high resolution. High quality pictures with dogs.